Myanmar is a country transformed, where the military and an inner circle of 20 to 25 elite business families have been replaced by a parliament, an executive branch, a multifaceted business sector and an increasingly outspoken media. As it emerges from five decades of economic and political isolation, Myanmar today has the potential to be Asia’s next rising star if it can leverage all of its strengths. These include a strategic location between the region’s emerging giants, a rich supply of natural resources and high potential for agricultural development and renewable energy like hydropower, a large youthful population, and vast opportunities for investment. There has never been a more exciting time to visit this extraordinary land with its gilded pagodas, a place where traditions endure and some of the most fascinating areas that were once off-limits to foreigners are now opening up. Fortunately, the pace of change is not so dramatic that simple pleasures of travel in Myanmar like drifting down the Irrawaddy River in an old steamer, relaxing on the beach on the Bay of Bengal, and trekking through pine forests to the villages scattered across the Shan Hills cannot be enjoyed. The people here have yet to be taken in by western fashion trends and the men still wear the sarong-like longyi, women are covered in traditional makeup called thanakha, everyone still gets around in trishaws, and most folks are perfectly comfortable walking around barefoot. Yangon is Myanmar’s largest and most commercially important city. 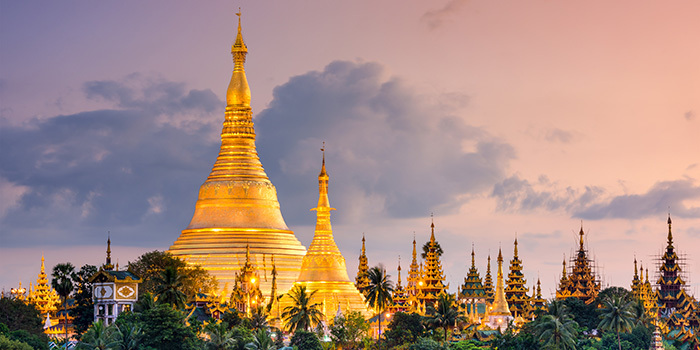 Its downtown skyline is dominated by the ‘winking wonder’ of Shwedagon Paya, a dazzling Buddhist temple that attracts pilgrims from all over the world. 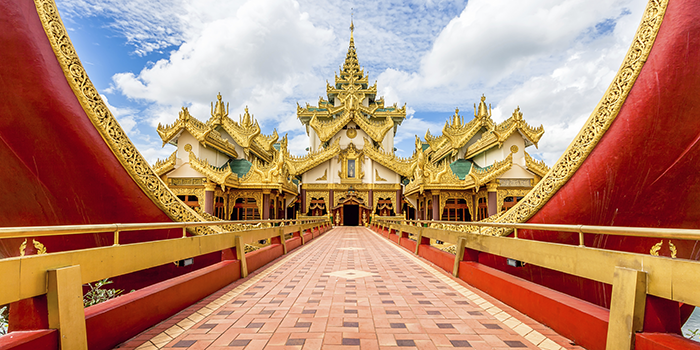 With its wandering monks in burgundy robes, countless pagodas, and signs written mostly in the local alphabet, Yangon is Asia’s most exotic city with a blend of British, Burmese, Chinese and Indian influences. This colourful city will still surprise and delight the most seasoned of travellers with its bustling markets, parks and lakes. ‘This is Burma,” wrote Rudyard Kipling. “It is quite unlike any place you know about”. We hope that all delegates at ASEAPS 2017 and your families will take a little time to discover Myanmar, which is particularly inviting during the very pleasant cool season when the congress will be held.